Over the years, professionals have frequently changed their stance on whether or not eggs are healthy. At one point, they were considered a food staple. 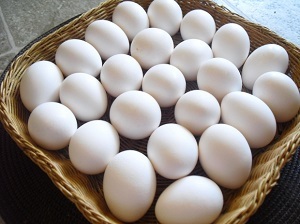 Then, eggs were condemned for being high in cholesterol, which experts said far outweighed the benefits of eating eggs. However, as advances in science have furthered the understanding of health, most professionals agree now that eggs are an important part of a healthy diet. And this is even more true if you want to lose weight. Losing weight is struggle, especially since it requires changes in both physical exercise and eating habits. It can be difficult to find a workout routine that works as well as an eating plan that is simple, affordable, and delicious. Eggs are perfect for this dilemma. They’re easy to make, so you can whip them up in the morning before getting on with your day. Eggs are also very versatile. You can scramble, boil, and even bake them, so you don’t get bored. However, the best part about egg is that it can actually aid in your weight loss journey. Eggs are packed full of protein, having about 13 grams of protein per egg. If you’re lifting weights or doing any strengthening exercises, this protein will be vital for you to replace what you’re losing. Every time you work or push your muscles, your body burns through protein. If that protein isn’t replaced, the body can’t maintain the muscles you’re working so hard to hone. Even just one egg in the morning will provide you with over 1/5 of the protein you need per day. This will help keep your muscles fed and your muscles will help you burn off excess fat. As mentioned above, eggs have had a bad reputation for a long time because they were high in cholesterol. And while it’s true that egg yolk does contain cholesterol, there are all sorts of other nutrients in the yolk that are great for your body, especially if you’re trying to lose weight. It has vitamin A, B, and D, as well as iron, calcium, and zinc. An egg yolk also has riboflavin, phosphorous, choline, and lutein. Adding these nutrients to your diet will help your body run better, which means your weight loss efforts will see better and faster results. One of the hardest parts about losing weight is having to decrease your calorie intake without feeling hungry and weak all day. Eggs are perfect for this, since they’ll make you feel full longer so you’ll eat less throughout the day. In fact, a study conducted at Rochester Center for Obesity in America found that people who ate eggs for breakfast ate about 400 fewer calories throughout the day than when they didn’t eat eggs. They also found that those who ate eggs also had higher energy levels throughout the day, which is great if you’re trying to adapt to a new workout routine. Experts believe that more than 27 million Americans have some type of thyroid dysfunction, which can greatly slow down the metabolism. The huge problem with this is that most of these cases are undiagnosed and will probably never be diagnosed. Thankfully, there are natural ways to keep your metabolism running at optimum and eating eggs is one of those ways. If you have problems with your metabolism, eggs will help increase your good cholesterol (HDL) and decrease your triglycerides, thus helping to boost your metabolism. And, the better your metabolism runs, the more effective your weight loss will be. Eggs are filled with a nutrient called choline. Not only is choline important for memory and liver function, it also helps the body break down homocysteine. Unfortunately, most people aren’t aware that homocysteine is an amino acid that your body releases as it takes in protein. As mentioned above, protein intake is extremely important for weight loss and muscle gain. Unfortunately, if you keep eating protein without having enough choline in your system, it could cause serious issues, such as blood clots and high cholesterol. However, the choline found in eggs breaks down homocysteine, leaving your heart healthy and ready for your workouts. And, when you’re running, biking, lifting weights, or doing any type of workout, a healthy and strong heart is extremely important. Despite the reputation eggs have had in the past, as scientists have learned more about them, they’ve discovered that eggs are actually extremely beneficial to health and weight loss in particular. They’ll keep you full longer, help you fulfill your protein needs, and give your body several of the nutrients it needs to function healthily. And, considering they are extremely inexpensive to purchase and even easier to prepare, adding them to your daily breakfast seems like a simple choice.